Click on any picture to go to that city. In the book of Revelations Chapters 2 and 3, John wrote to seven churches in Asia Minor. These were not churches in the modern sense, but rather to all of the Christians who lived in or near these cities. 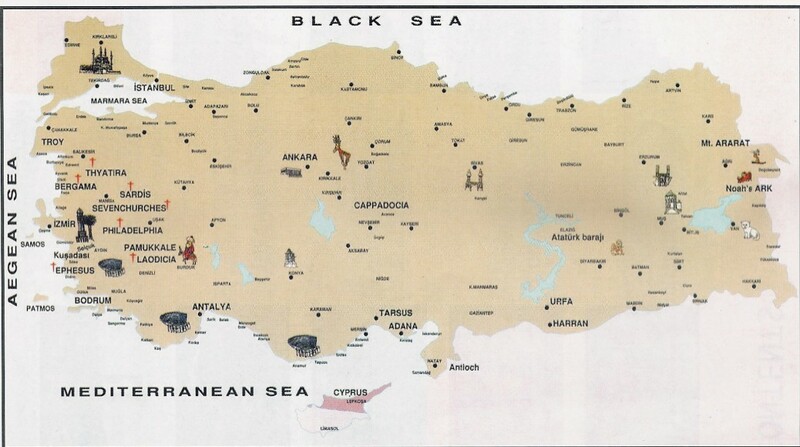 These cities are in Western Turkey. This is a link to a PowerPoint Slideshow of the relevant scriptures with some pictures of these cities as they look today.